In Shemot 25:3-40 Messiah Yeshua is known as "the Branch" Neser = small fresh targ; semah = shoot or sprout. We see that each branch has three leaves (greeness leave neser) in one branch. 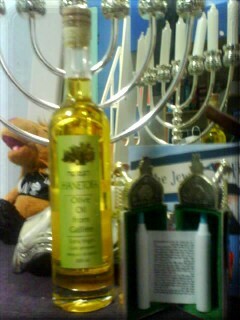 In YeshaYahu 11:1 describe "a branch will emerge from the trunk of Yishai, a shoot will grow from his roots. 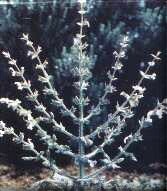 On one branch are to be three cups shaped like almond blossoms, each with a ring of outer leaves and petals; likewise on the opposite branch three cups shaped like almond blossoms, each with a ring of outer leaves and petals; and similarly for all six branches extending from the menorah. 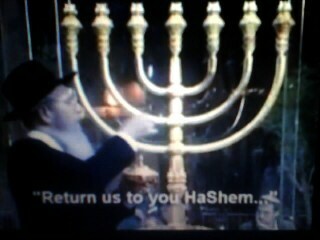 The word Menorah in Hebrew mean Light Bearer (Messiah Yeshua is our Light Bearer). 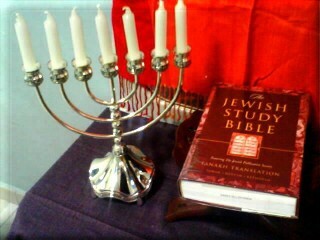 The Menorah does not use candle to light up therefore is not accurate in most Gentile Bible to called it candlestick. 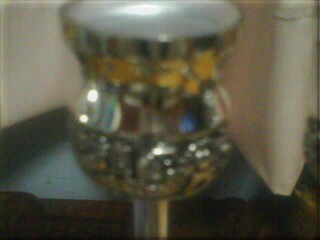 The Menorah were wicks in olive oil; decorative cups, knobs and flowers. Chesed ?" lovingkindness. This is also known as Ahavah (Love). This quality refers to the unconditional acceptance and love of others. Example is Avraham. Gevurah ?" severity or strength. This quality is also known as Yirah (Awesome or Fear). It is the power of inhibition, discrimination and judgement that allows one to make wise and right choices. 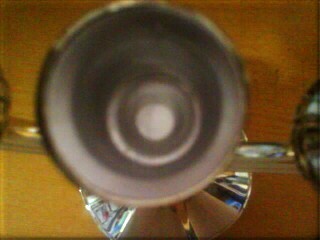 Example: Yitzchak. 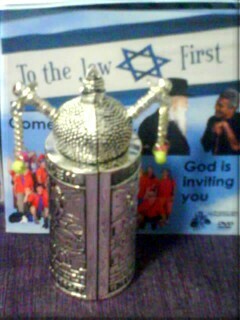 Tiferet ?" beauty. This quality is also known as Rachamim (Merciful) Example: Ya'akov. Netzach ?" victory or triumph. Example: Mosheh. Hod ?" glory. This is the quality that lights up a person’s face, the inner strength that causes the face to glow with confidence, peacefulness, serenity, dignity, honor and majesty. Example: Aharon. Yesod ?" foundation or intimacy. Example: Yosef. Malchut ?" kingdom or majesty. This quality represents manifestation, the translation of energy into action and activity and literally means “kingdom”. It is also Example : David. The above Menorah (Hebrew: מנורה), also known to be "Temple Menorah" which has seven branches that can fix the Shabbat candles, the cups can fix various thickness size candle, also use olive oil - silver coated - other type of menorah such the Hannukiah - No 30016, V-shaped Hannukiah - 30018. 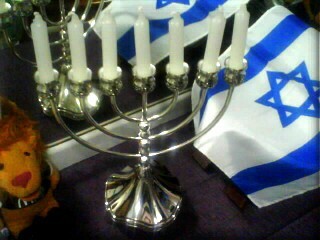 In some home families have their own menorah, however this menorah is not lighted up in home or synagogues, it is a reminder of its appearance,when it stood in its place in the temple. 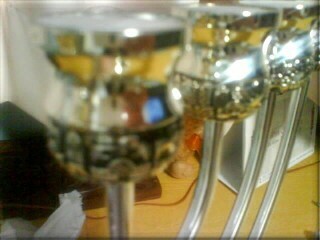 The Golden Menorah speaks of the wisdom of the Torah. However we understand in the scriptures of Yechezk'el 48:28-35 "YHWH Shammah" "THE YHWH IS THERE" in the city. When the city descended from heaven, Yochanan heard a voice saying, "the tabernacle of YHWH is with men" (Rev. 21:3). [The Unveilings] Yochanan: "And I saw...."
The interesting study of the phrases "I saw" begins with the vision of the Golden Menorah which speaks of the Seven Assemblies and the last phrase speaks of the "no Temple" Yochanan said " I saw no temple therein for YHWH Elohim and the LAMB are the temple of it (Rev. 21:22-23; 22:5), no need of sunlight Elohim did lighten it , and as the King on His throne (Rev. 22:3). Yechezk'el had seen YHWH depart from the temple and the city of the earthly , but he closes with the assurance that in the New Yerushalayim, "THE Adonay IS THERE"! The lights of the Golden Menorah are Kadosh, we have no authority to use of the light, it is only to be light up by Kohen serving in the temple. 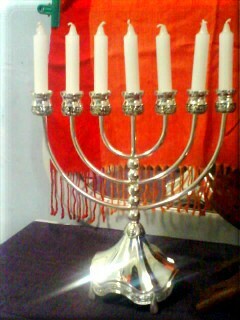 Some synagogues simply to have illuminated Menorah's (Electrically wired). 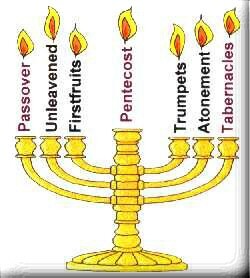 The question is that should we light the seven branch Menorah, the answer is NO there is no biblical obligation to illuminate this symbol. 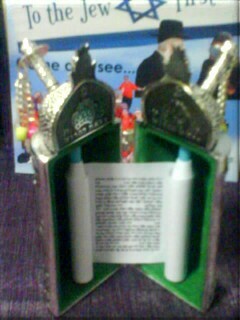 The Yehudim look at menorah looks forward the temple to be builded. And also we look forward the soon return of Yeshua Ha Moshiach. A drawing on the depiction of the Menorah seen on the Arch of Titus in Rome, Italy. Understand the spiritual significant of Shabbat / How to observe the Shabbat? How to tie the tzitzit and why need to wear a Tzitzit? How to prepare Kosher food and home economy? Why are Sea Cucumber consider Non-Kosher or unclean sea marine animals? How to begin a Fasting for New Begininers? There's Just Something About Mary? Who is Yeshua Ha Moshiach? Why do Messianic Believer need to be Mikveh Mayim (immersion in Living water)?